Although you may brush and floss regularly, its likely that you may be missing some hard to reach areas, like just under the gum lines, between teeth or in the deep grooves of teeth. Additional Dental Cleans include: Dental Fissure Sealants, Occlusal Guards and Mouth guards. Your Private Health Funds also values your regular checkups and cleans, and as such, make an allowance for two (2) each year. 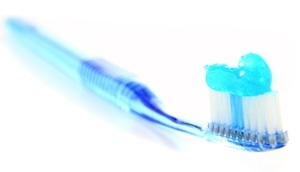 As Preferred Provider for most private health insurances, Simply Smiles can offer your routine hygiene appointment. Your just one step away from having the smile you always wanted. We’ll give you a fully informed idea of all your treatment options, costs and durations. During your regular visit, we get a chance to intercept and hopefully reverse disease, within the oral cavity and elsewhere at a very early stage before it has a chance to cause serious damage, requiring, in many situations, expensive treatment. Taking Xrays: Without X-rays we can’t tell if there is decay hiding between your teeth. Decay may go undiagnosed and such untreated decay may result in your teeth becoming infected, needing expensive root canaltherapy and crownwork or extraction and expensive replacement. While you may be very diligent in your dental care, its most likely that you may be missing some areas, especially near the gum lines. Tooth decay and gum disease begin with plaque on teeth, which can develop into tartar if not removed by brushing and flossing. Tartar can cause chronic gum inflammation, also called gingivitis, which can lead to serious gum disease, like Periodontitis. Professional cleaning is essential for good dental health. Tooth decay (dental caries) is painful, expensive to treat and can seriously damage teeth. Fluoride is a mineral that prevents tooth decay. Fissure sealants are one of the best ways of preventing tooth decay. A fissure sealant is a protective tooth coloured hard resin coating that is bonded into the groove of teeth to stop decay from forming in these grooves. It is a totally painless procedure and sealants are very durable. Pit & fissure sealants are suitable from around the age of six years or older. Any permanent tooth that has a deep groove and has not decayed is recommended for a sealant in adult patients. These are removable dental appliances carefully molded to fit the upper or lower arches of teeth. They are used to protect tooth and restoration surfaces, manage mandibular (jaw) dysfunction, and stabilize occlusion or create space prior to restoration procedures. People prone to or nighttime clenching, should routinely wear occlusal splints at night. They are typically made of a heat-cured acrylic resin. The most common type of oro-facial injuries sustained during sport are Dental injuries. The importance of wearing mouth guards to reduce such injuries is well researched, however, some people still use inferior ‘generic’ mouth guards purchased on the basis of non-critical factors such as colour and price. These generic mouth guards neither fit nor protect effectively. At Simply Smiles, your mouth guard is custom made. 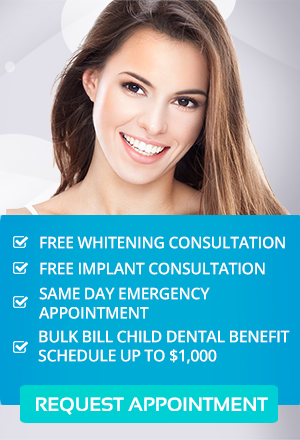 At Simply Smiles Dental in Toorak, our goal is to make quality dental care affordable. We encourage you to take advantage of our latest offers. To find out more, visit our special offers page or contact us now on (03) 9826 2220 or make an appointment online.